Waterproofing membranes to protect the substrate from water - GlobeCore Bitumen Emulsion. Waterproofing membranes have undergone a lot of change in the past few years. There is now a lot of waterproofing products on the market, as well. So, what is it that makes a membrane efficient and how to correctly select the ideal product? 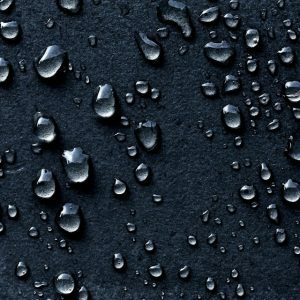 What makes the best waterproofing membrane? These days there are two general types of membranes, one is acrylic, the other is made from polyurethane. The latter extends more and has a better tensile strength, however, the solvent materials can be hazardous. Bonding to this type of membrane can also be difficult. Acrylic membranes generally take longer to dry and have lower resistance to abrasions and some chemicals. High quality waterproofing membranes must provide a barrier to water, and also to withstand certain motion. The motion, which may occur at junctions, can be easily adjusted by bond breakers, which make the membrane extend instead of snapping, capitalizing on the elasticity of the material. The general principle is similar to a long rubber band, which extends further than a shorter piece of the same material. The difficulty with unusual mobility The problem is with how much the membrane must expand to accommodate unexpected fractures (ones not treated with a bond breaker). Since such expansion can overwhelm the stretch capability of the waterproofing membrane, it will cause tears and possible leaks. So if the motion is larger than can be absorbed by the material, the material will break. A bond breaker can make the waterproofing membrane expand a lot more. It is always important to set up the bond breakers needed, but the form of the membrane can also be adbantageous. A pridct with more expansion capacity is more forgiving and the bond breakers can be narrower. The greater the elasticity, the longer it takes to break and the higher the tensile strength of the membrane and the more likely it is to de-bond rather than tear. Keep in mind that it is always good to setup a bond breaker in parts that might move. Basement waterproofing membranes pose a problem, since the water pressure is from the wrong side, and the problem arises when the membrane cannot cope with the hydrostatic pressure from the substrate and fails. Water may get into the basement by various paths, such as joints, walls or floors. Several special basement waterproofing membranes, however, solve that problem.